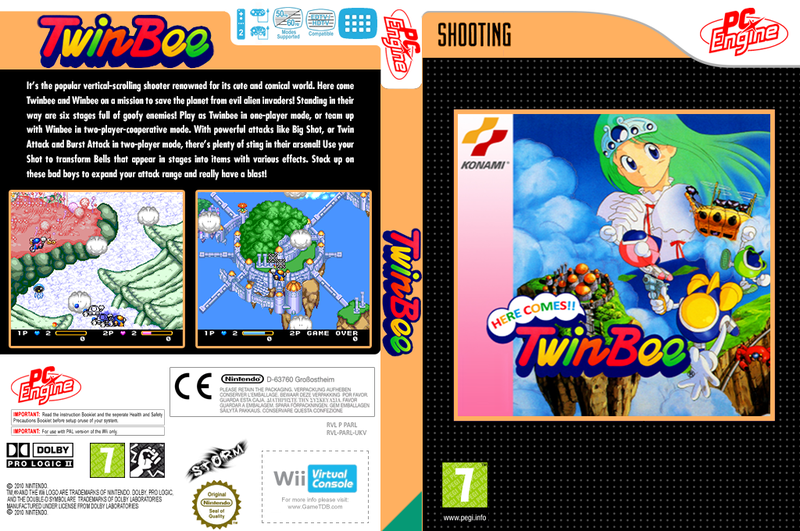 synopsis (EN) One day, an SOS from a distant planet arrives at the island where Twinbee and Winbee live. "I am Princess Melora. Our planet has been invaded by evil aliens and is in great peril. Please, help us!" Upon hearing the distress call, Twinbee and Winbee immediately leave for the planet where the princess awaits. 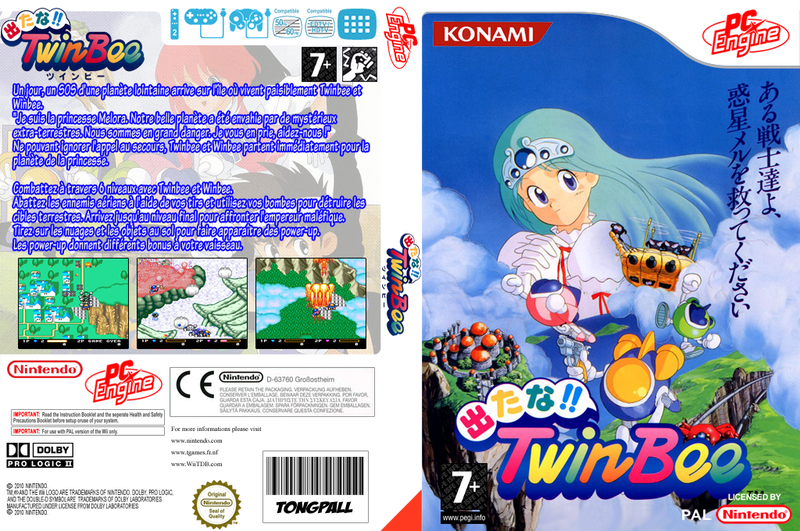 Battle through a total of six stages with Twinbee and Winbee. Take down airborne enemies using your Shots and land dwellers with your Bombs--fight your way to the final stage where the evil emperor lurks. 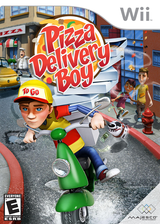 Shoot the clouds and land objects in the stages to uncover Power Ups. Power Ups give your ship various effects.